My thanks to The Manitoban for covering this important issue which affects everyone in the entire community – permanent residents, university students, tenants and landlords. South Winnipeg-St. Nobert Coun. Janice Lukes has stepped up her efforts to combat the proliferation of illegal and unsafe rooming houses around the University of Manitoba. As a result of their proximity to the University of Manitoba, many houses are illegally subdivided into multiple rooms for rent to between three and 10 tenants or more. These residences are rented out to students who may be unaware that such housing is illegal in the area under the Winnipeg Zoning Bylaw. Moreover, given that such properties operate without official oversight, they are likely to be in violation of the Manitoba Building Code. Such violations may cause unsafe and hazardous living conditions for tenants. Plans to address this long-standing issue started last summer with deliberate study of what other university communities in Canada had done with respect to the accommodation and housing of their students. On Feb. 20, 2016, a meeting was held with about 30 members of the Fort Richmond and University Heights residents’ sub-committees and four City of Winnipeg bylaw representatives in attendance. It was an eye-opener for the residents, according to Lukes, with residents showing renewed commitment to the cause of routing out illegal rental housing. Two resolutions were passed at the Feb. 20 meeting. First, residents agreed to develop a website dedicated to information on bylaw enforcement. Second, they agreed to engage residents in the creation of an inventory of rental houses in the neighborhood. The website should be up in three weeks, according to Lukes. The inventory is expected to be a list of assumed rental properties on each street in the University Heights and Fort Richmond communities with the goal of improving enforcement of bylaws. 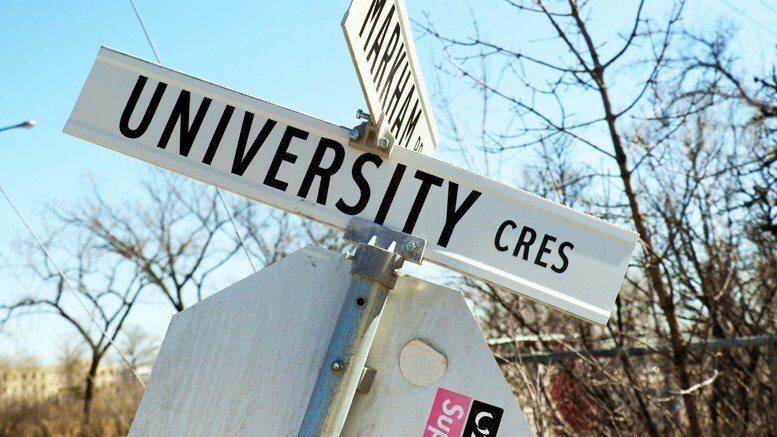 “The website will hold good information for the residents and good information for the students because students don’t necessary realize that they’re living in a residence that is unsafe and that is built illegally and that they could get kicked out,” Lukes told the Manitoban. Lukes said that the cooperation of City of Winnipeg bylaw officers has helped bolster her resolve to fight against illegal rooming houses around the University of Manitoba. “The City of Winnipeg bylaw enforcement people are working now with the residents, they’re forming an association, and we are working with them,” she said. With the University of Manitoba’s board of governors’ decision to hike rental rates and other ancillary fees for students living in its four on-campus residences, there could be higher demand for off-campus housing options for students this fall. Lukes told the Manitoban that the university’s administration has so far been uncooperative on the housing issue. “They clearly told me time and time again that they have nothing to do with rental properties, it is not their problem. They do not see this as their problem,” she said. John Danakas, the executive director of public affairs at the U of M, said the university will continue to work with the community to find solutions to the issue of illegal housing – but he added that bylaw enforcement remains a city responsibility. “The University of Manitoba is committed to working with various partners to deal with the issues related to housing for students in the neighbourhood adjacent to the Fort Garry campus,” Danakas said. Barbara Barnett, one of the residents helping out with the street-by-street inventory of rental properties, said that she thinks the university should be doing more to accommodate students when it comes to low-cost housing. “I think it will be really important for the university to offer students looking into renting houses information about what is safe and what is legal,” she told the Manitoban.